Coupe appeal with more sky, wind, and sunshine. While it’s hard to imagine a version of the Lexus LC 500 that has more road presence than the coupe, the brand teased a stunning concept design of a possible forthcoming LC Convertible at the Detroit Autoshow earlier this month. Originally launched in early 2017, the Lexus LC is easily one of the most impressive and distinctive offerings in the premium grand touring space. Facing off against serious competition from Mercedes-Benz, BMW (with the new 8-Series), and even Aston Martin and Porsche, the LC is sharply next-gen with a distinct style derived from a strong application of the best parts of Lexus’s ever-evolving brand styling. The eye-catching exterior is met with a truly remarkable and quite possibly segment-leading interior. Simple yet detailed, the layout keeps tech at a manageable distance while placing a premium on touch points and materials. The LC feels specifically luxurious while also offering the tech and ergonomics one comes to expect from a Lexus product. While I’ve not yet driven an LC, I did have the opportunity to sit in one last year and the interior is a remarkable design that works to uphold the special appeal of the exterior. Those who frequent this column will know my taste for true enthusiast sports cars—if you’re going to make a comfy and insulated GT car, why not have it as a drop top? And in convertible form, the LC is just entirely drool-worthy. 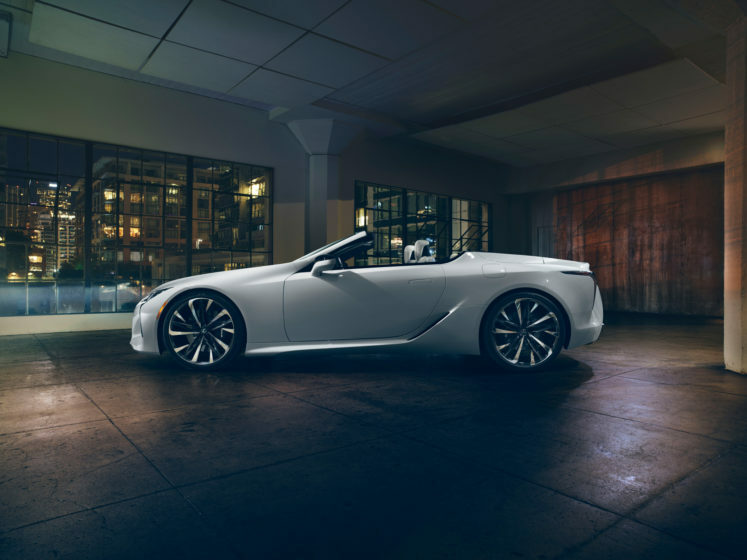 Just look at it: with a flowing line leaving the front fender and cresting on a small hump just behind the seats, the LC Convertible Concept does an amazing job of hiding the visual weight that often comes with folding a roof somewhere deep inside a sleek coupe design. The wide fenders, a low roofline, that curving deck, and those dramatic headlights and brake lights all transfer to the convertible to ensure no loss of stance or drama. 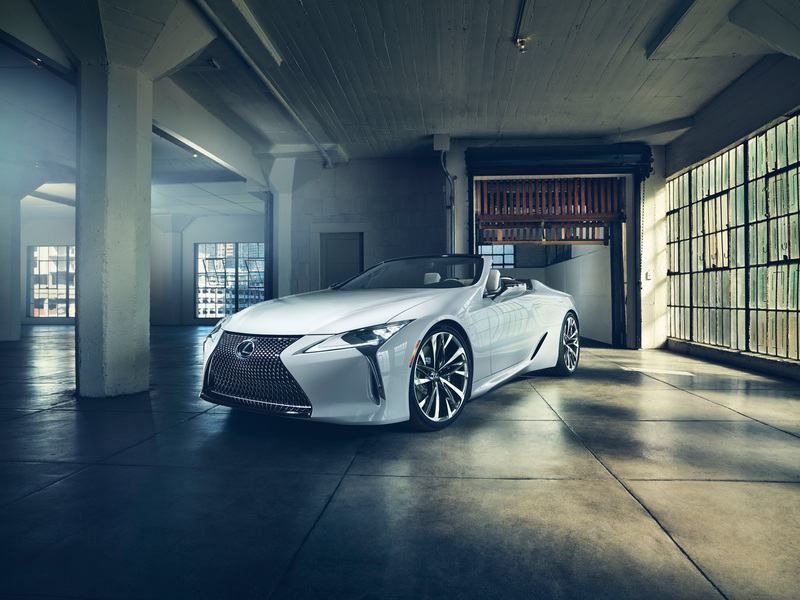 In its current production coupe form, the LC is offered as both a hybrid LC 500h with a 3.5-litre V6 engine (354 horsepower) or in its premium LC 500 spec with Lexus’ 5-litre 471 horsepower V8. Both models use a 10-speed automatic and the V8 manages 0-100 km/h in 4.4 seconds with power going to the rear wheels. 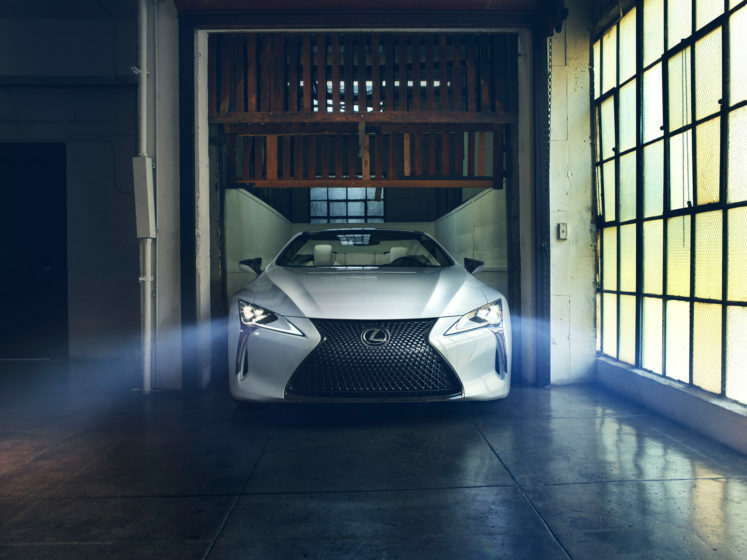 The LC 500 is a true GT car backed by Lexus’ specific blend of quality and thoughtful design. With the LC 500 coupe starting at $102,750, if and when the convertible becomes available, I would expect to pay a premium—sunshine is free, but it costs something to get the roof out of the way. 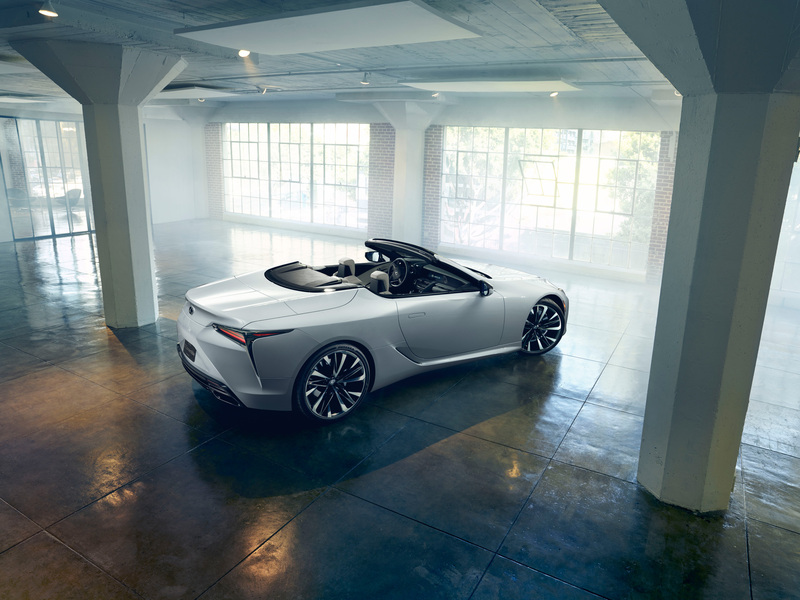 A convertible feels like an entirely natural evolution for the LC and, at least at a design level, this latest concept from Lexus manages to preserve the stylish appeal of the coupe while offering a whole lot more sky, wind, and sunshine.